Group Captain (Retd.) 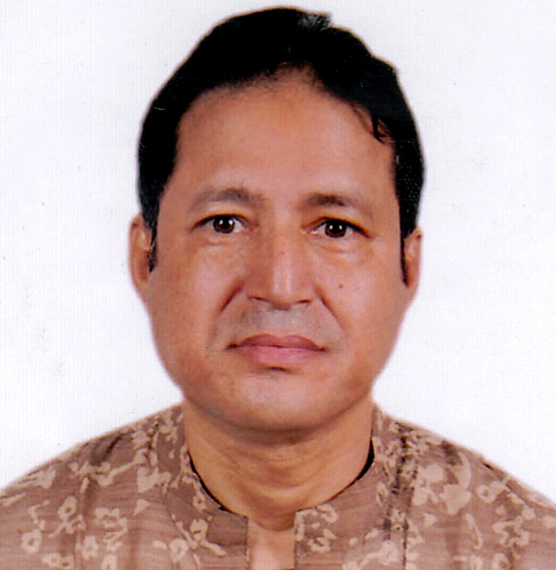 Abu Zafar Chowdhury, CD (P), psc, was born on 8th February, 1953 at Harual Chari, in the district of Chittagong. At the age of 18 he actively participated in the liberation war of Bangladesh. He was a valiant freedom fighter of sector 1. On 14th December, 1972 he joined the Bangladesh Air Force as a flight cadet. That was the first recruited batch of pilots after liberation of Bangladesh. This is undoubtedly a part of the history of Bangladesh. The group of cadets was sent to former USSR, and was trained in the Warsaw standard Frunze Military Academy. Group Captain (Retd.) Abu Zafar Chowdhury was successfully graduated from that academy. He did excellent in basic and advanced flying and as well as in the academy. After completion of three years vigorous training he became an operational pilot and diploma aeronautical engineering. Besides, passing a tough exam he also qualified himself as a Russian-English-Russia language military interpreter. After completion of the training he along with the other flight cadets of fist GD (P), came back to Bangladesh in the month of December, 1975 and was again graduated as commissioned officer. During his carrier in the BAF he commanded many very important operational and training units. He was deputized to Iraqi Air Force for two years as a flying instructor to train future fighter pilots. He also served in the flying academy of BAF with utmost sincerity, untiring effort and dedication. He logged a huge safe training and operational flying hours, holding highest flying hours and instructional hours. He is married with one son. Only son of Group Captain (Retd.) Abu Zafar Chowdhury born in 1984. He is a intelligent and fore viewer as his father, and possessing patience, personality, good communicative skills as his mother. 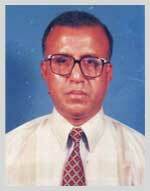 Mr. Belayet Hossain was born on 20 June, 1949 at Harual Chari in the district of Chittagong. He has completed graduation from Chittagong Commerce College in 1969. After graduation joined M/S. A Qasem & Co., Chartered Accounts, a renowned audit firm of Bangladesh and completed course in the year 1975 and served as an Audit Manager up to 1978. Then he joined M/S M.M. Ispahani Ltd., a renowned business house in this subcontinent and worked up to February, 1980. Then he left M/S M. M. Ispahani Ltd. and joined Saudi Sac Contracting Company in kingdom of Saudi Arabia as area Chief Accountant. During his job in Saudi Arabia he was assigned to work for famous chain hotel ‘Holiday Inn’ in Jeddah and after completion this project he handled housing project consisting of 2,500 buildings of Jubail Industrial City Eastern Province of Saudi Arab. He backed from Saudi Arabia in 1985 and joined again in M/S M.M. Ispahani Ltd. as a Finance Manager, responsible for all the Tea Gardens and Pahartali Textile Hossiery Mills. Pahartali Textile Hossiery Mills is one of the biggest/oldest Textile Mills in Bangladesh. He left M/S M. M. Ispahani Ltd. in the 2004 and joined The Dhaka Mercantile Co-operative Bank Ltd. as Vice-Chairman.